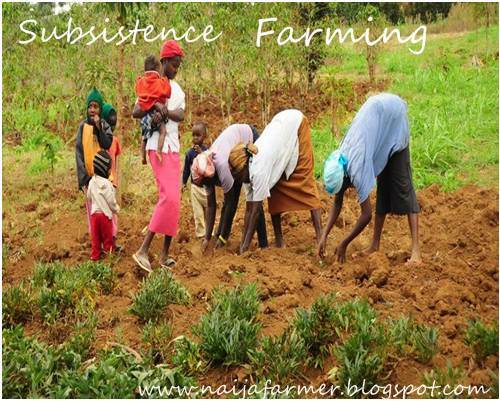 Agriculture is a goldmine and economist has declared it as a panacea to the crashing Nigerian economy. As a result of the revolution in Agriculture and especially the desire for people to tap into its goldmine, many people have and are investing in farming. Agribusiness which is a word coined for commercial farming has been booming. Many has also seen the importance of farming as a serious business and many are venturing into it. There is no doubt that agriculture is vital for the sustainability of most countries as it supports the basic need to get back to the farm and feed ourselves, communities and even the world. Despite that, we seem to be making some fundamental mistakes when venturing into agribusiness in Nigeria. Do you want to avoid making these mistakes? If you are you’ve come to the right place! In this post We will be discussing 5 mistakes to avoid when going in to agribusiness in Nigeria, either crop farming or animal husbandry. 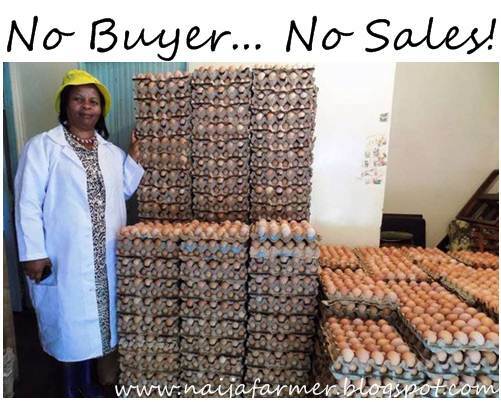 Most people start up an agribusiness venture without having buyers. They just hear about a farming venture and delve into it without even having an idea of how or where they will sell their farm produce. I can't just be telling you this if I haven't made the mistake. I made the mistake when I started my first poultry farm did it again when I started my catfish farm. For my catfish, I ended up selling them off at a cheap price. But now I know better. Most times you end up selling your produce at a ridiculous price and end up incurring a loss. The situation I found myself then is still been experienced by many farmers who start without having buyers or a marketing strategy. As a business person (not a mere farmer), you have to know who and where your farm produce will be sold, even before you get started in whatever agricultural venture you choose. I am not saying that you should just have the idea of where to sell your farm produce. I mean, reach out to your target market, speak with potential customers, discuss with them and make sure there are people (buyers) who will be willing to buy your farm produce, even before you get started. That's called having a marketing strategy. A get rich quick mentality is not new; it’s only a surprise that no matter what most people try to lay their hands on, they want success, immediately! It's not always like that. Many things in life don't work that way unless you win the lottery. Agribusiness in Nigeria and everywhere is not like a lottery because its success is not down to luck, but hard work, patience and planning. Your agricultural business venture could be successful, you could make millions through it, but it won’t happen overnight, it might not even happen next month or next year. Be patient, persistent and pursue your goal until you achieve it. Don't get discouraged easily if you want to make it in Agribusiness. Don’t be deceived by whatever you might have heard or read because you won’t become rich overnight. I lost a lot of birds in my first poultry farming experience before I gained more experience and became successful. Now I do consulting for people going into poultry farming business. 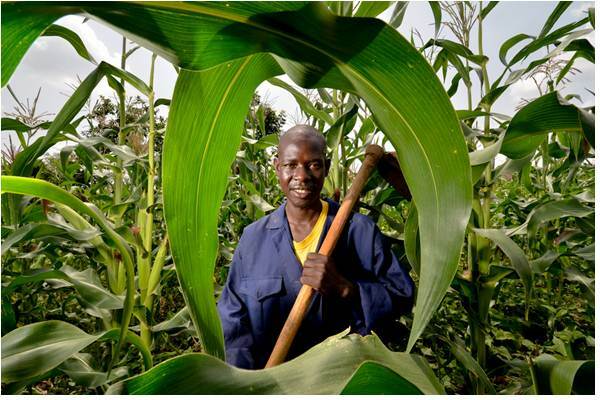 To most people new farmers, starting an farming business is as simple as acquiring a land and start farming. As I said earlier, farming is a business and has to be taken very seriously. If you’re going into agribusiness, the very first thing to do is to take time to conduct market research so that you can determine the internal and external factors both negative and positive that can potentially impact your business. Market research will include seeking for possible buyers and where to find them, identifying competitors and ways to package or present your own business as to outshine them. Market research helps you discover the best strategies to adopt in selling your farm produce. This mentality is dangerous because the world has moved away from this mentality. Modern farmers no longer see themselves as “just farmers”. 21st-century farmers are businessmen who are in the business of producing food. Take for instance if you think yourself as just a "mere farmer", you won’t see your agricultural produce as something that you have to brand, package or vigorously market with a clearly defined marketing strategies. If we're into catfish farming we should be thinking of processing, and packaging our catfish. It makes us stand out. Same thing goes to every other agribusiness out there. 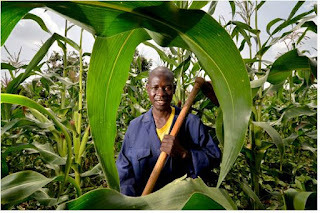 It's not enough to encourage people to go into farming without equipping them with right business skills knowledge, tactics, and strategies that will help them to compete favourably in the market. You as an individual potential farmer or practicing farmer have to understand this. In any business, any Jack can produce anything, but it takes a smart man to sell, I mean to sell at a good price and make a profit. Without profit there is no business. Knowing how to grow certain crops or how to raise certain animals is one; selling those products at a good profit is another thing altogether. Our fore fathers were known to use hoes, sticks and cutlasses to farm. A technique which ended up cultivating only a small piece of land. This was small scale or subsistence farming carried out by our ancestors. It's shameful to still see farmers involve in small-scale farming without mechanization. Till this very day, when you look around in Nigeria, you’ll observe that more than 90% of farming is still small scale farming. Without this change, the popular noise about our intending economy diversification will end up being just noise with no action, because currently, Nigeria has 5 million farmers but cannot feed a nation of 180 million, not to talk about exporting our Agric product? We have to adopt massive mechanized and commercialized farming in Nigeria.